Making a product prototype is one of the first steps to securing funding for a new business venture. Without a prototype, how can you find business funding? That is why building a prototype is such an important part of the journey to start your own business, even for box manufacturers. Find out how to make a prototype that wows potential investors in this step by step guide. First, you need to determine the purpose of your prototype. What are you making the product prototype for? Will the prototype be used to assess the manufacturing process and its costs? Or are you planning to use it to sell prospective clients? This will help you figure out whether you need a visual prototype, a proof-of-concept prototype or a presentation prototype. Determine what type of prototype you need by deciding what its uses will be. Modeling software can make it much easier to create a prototype. This software can help you to visualize your product, which makes it easier to build. Try using one of the many 3D software tools available, like Sketchup, TinkerCAD or Autodesk 123D. Using 3D modeling software will make it much easier to build a prototype, so make sure you download one of these programs so you are equipped with as much business intelligence as possible before starting to construct. Before you go about building a physical prototype of your product, you want to choose which modeling material you will use. You can use a hand mold-able plastic, like Shapelock. Or, you can choose Sugru or clay like Sculpy. No matter what modeling materials you choose, deciding which you will use before you get to work is a must. Before you build a full-scale product prototype, you should start with a miniature version. A miniature prototype is cheaper to make, especially in the American business environment. That means you have more wiggle room to make mistakes. Design a couple mini prototypes before you take the plunge to build a full-scale working prototype. This will offer you the chance to perfect your prototype for cheap. Prototyper services are the perfect solution to design your pre-production prototype. If you are unable to make a working model of your prototype yourself, shop around for prototypers near you. A prototyper has the skills it takes to produce a working version of your product. However, it will cost you some capital to pay companies who make prototypes. But if you are unable to complete the work yourself, this is the best way to ensure a perfect end result. It is worth the money. If you are an entrepreneur looking to create a prototype of your product, follow the steps listed above. Producing a prototype is not easy. However, it will certainly make it easier for you to earn funding and find buyers for your product. 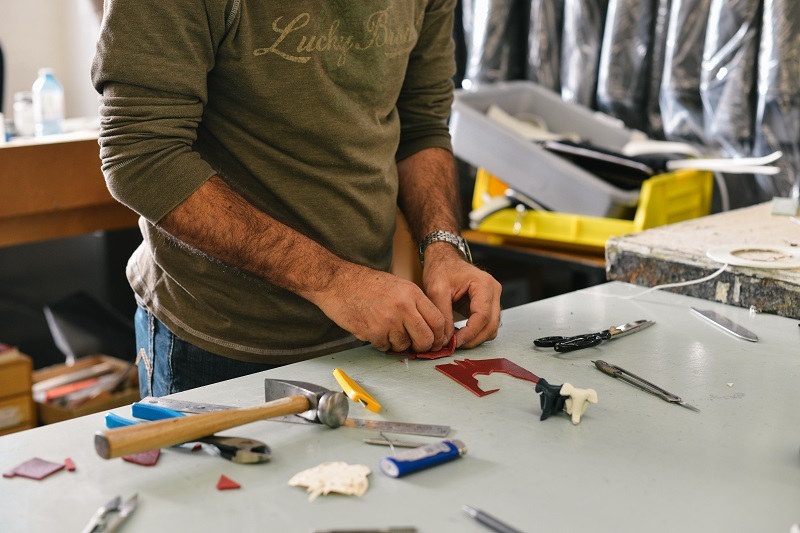 Make sure you use our prototyping guide below to learn how to make a prototype that sets your business up for success.